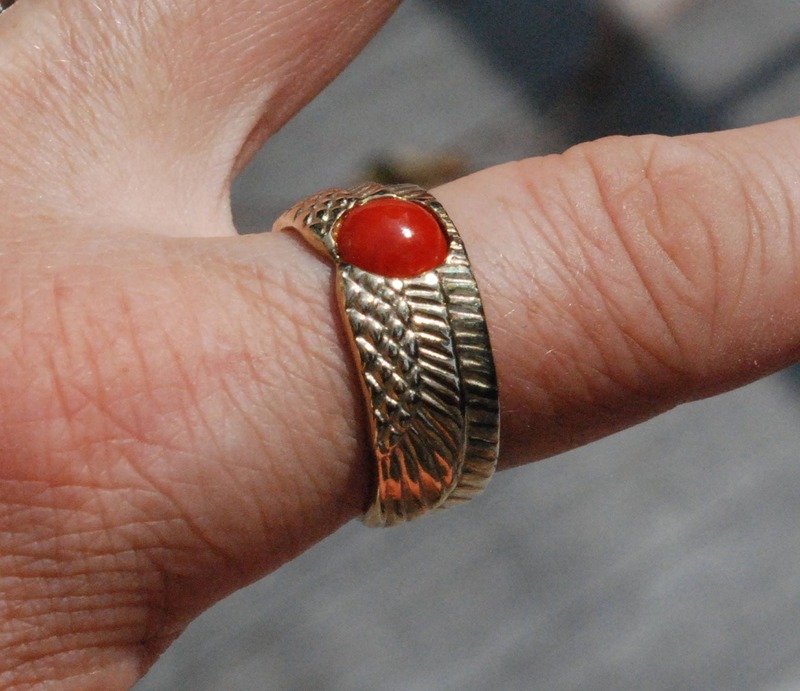 A round genuine Coral cabochon is nestled into solid cast 5k yellow gold wings forming the band of this magickal ring. 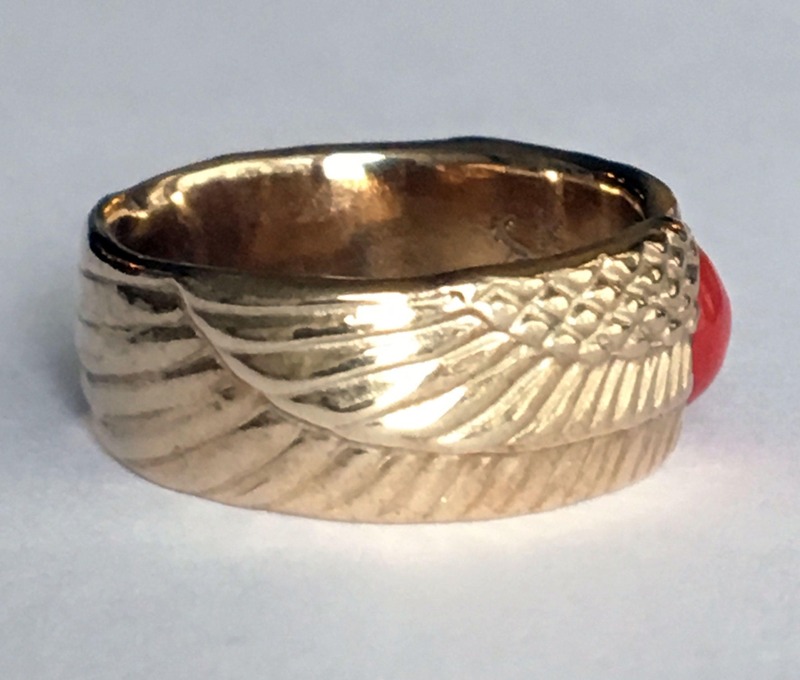 Part of a series of winged disk and winged egg rings, this one is a US size 8.75. 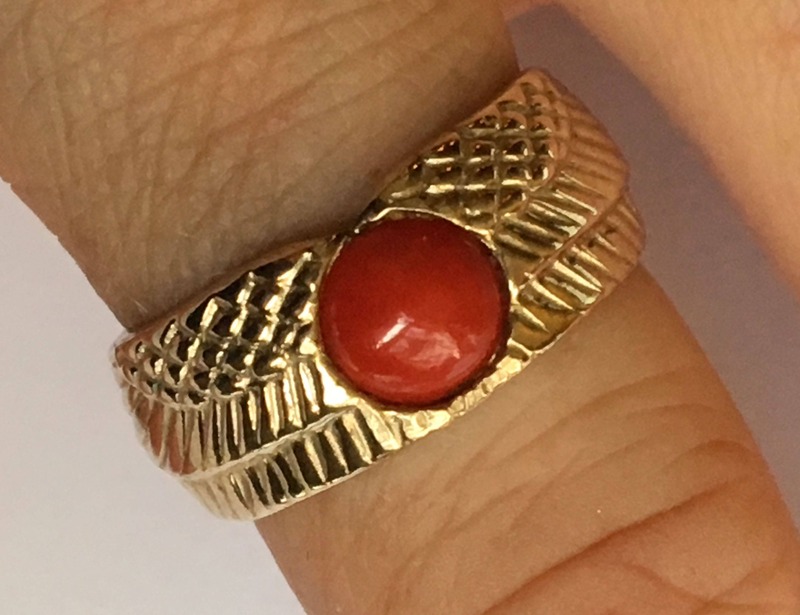 Coral Cab measures approximately 7mm in diameter. Band measures approximately 9mm at front of ring and 8mm at back. The winged sun disk is a symbol which has been associated with divinity and power throughout time in Egypt, Mesopotamia and Persia. 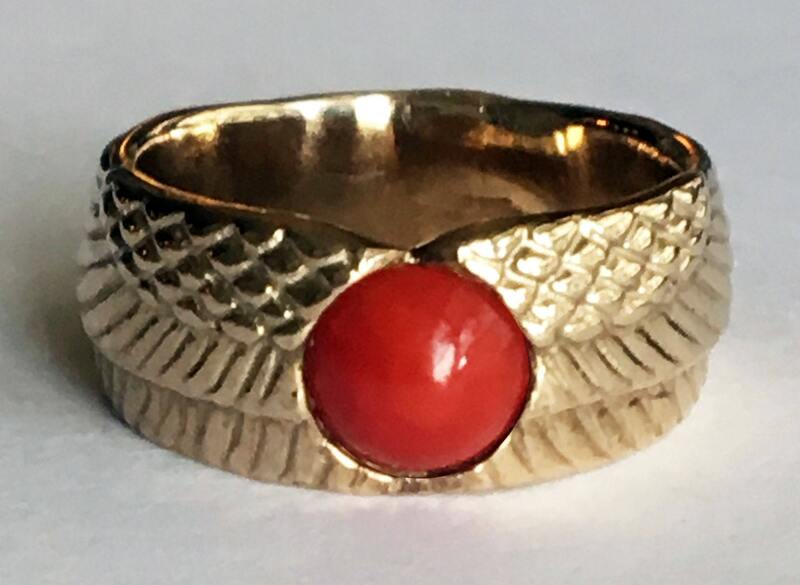 Coral is known as a gem of transformation. 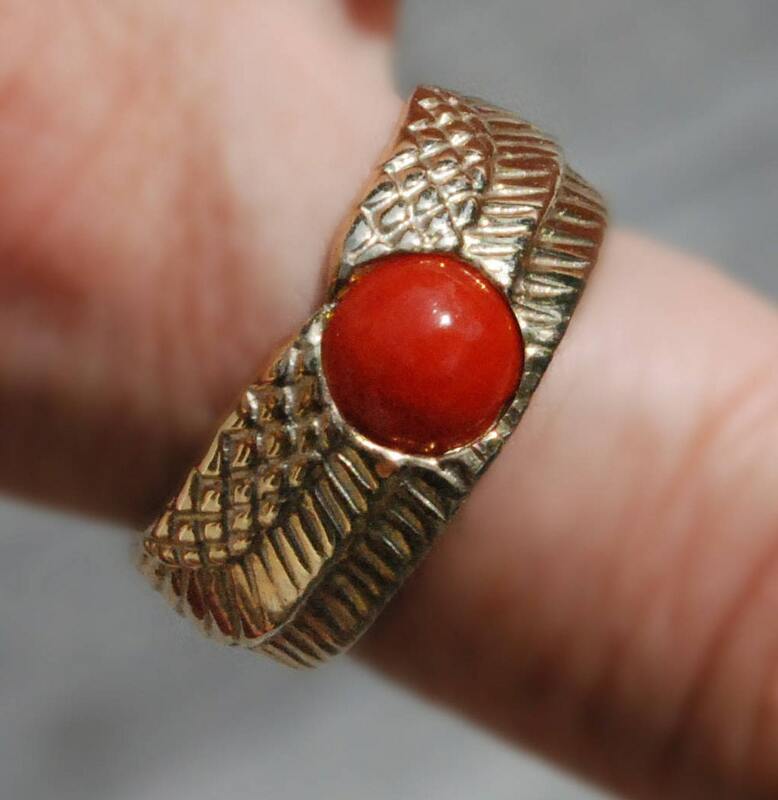 Red coral in particular is also thought to symbolize life force and vitality, and to promote fertility in women. 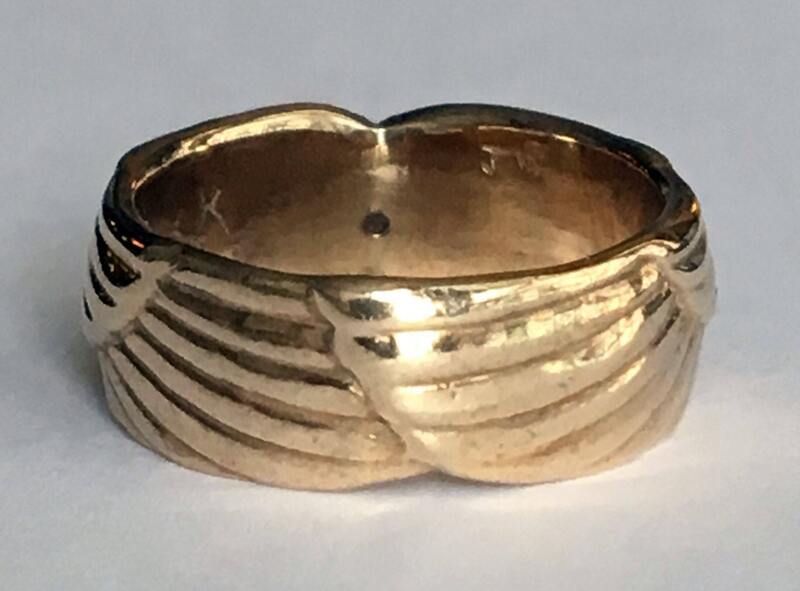 If you would like this ring made in a different size (between US sizes 8-11) or cast in a higher karat of gold please contact me for a quote. In 2014 I decided to start having a small variety of my pieces cast in 5k. 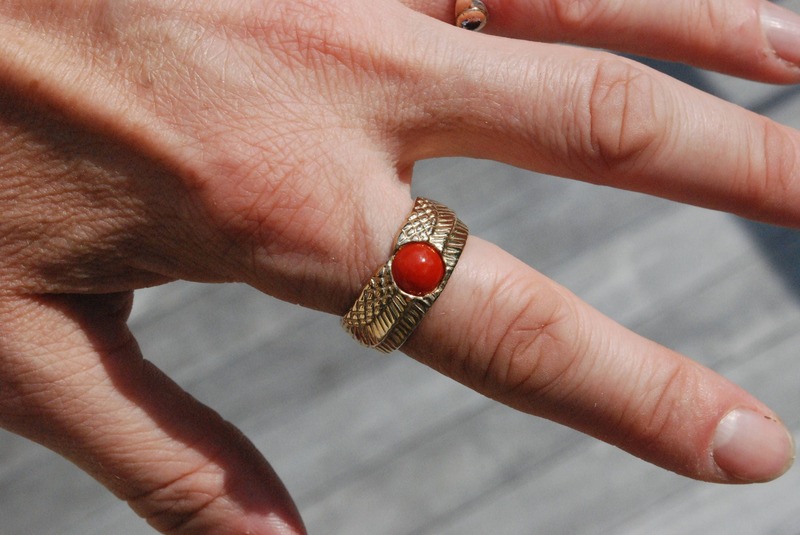 I chose to do this so that people could more easily afford and enjoy wearing my gold rings, earrings and bracelets . I find it to be a nice looking alternative to the more expensive higher karats and I myself often wear 5k bracelets and rings. 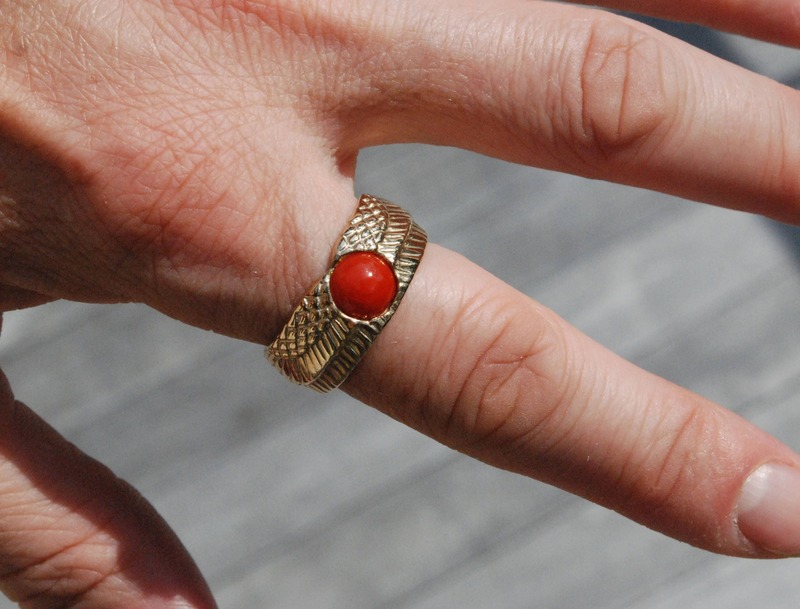 They retain their luster, they are sturdy and as they are solid there is no coating to wear off. However, in some cases 5k gold may darken over time and sulfurous "hard" water can cause quicker /darker oxidation. This can usually be remedied by rubbing the piece with a jewelers cloth or by cleaning in an ultrasonic cleaner.